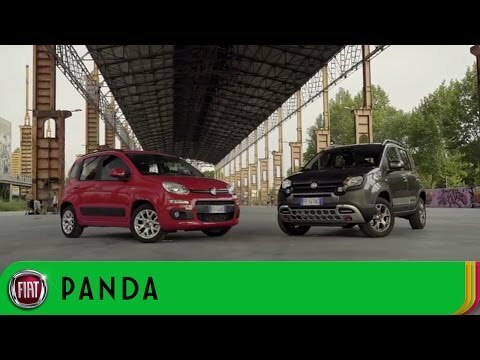 The new Panda 4x4 is the definition of freedom. The 4 wheel drive adventure vehicle has smoked finished 15" alloy wheels making the Panda look quietly bold and aggressive. Wherever you're adventuring to the Panda 4x4 is up for the challenge. The Panda 4x4 is the first city car with 4 wheel drive. A car as extreme, compact and refined as the new Panda 4x4 can only be matched up with an engine that reflects its qualities. Choose from petrol or diesel engines, plus four wheel drive, electronic locking differential and ESP as standard. The safety features ensure maximum safety and optimum traction on all surfaces. Put together an aluminium skid-plate, side mouldings including an embossed 4x4 logo and mud + snow tyres and longitudinal roof bars and you have the perfect image for your extreme outing. The eco-leather and fabric interiors emphasise its "eco-friendly" side and with spacious room inside for all your friends and family you won't be short on space! There's no such thing as tough roads with the Panda 4x4. The new ELD system can be activated from the comfort of the driver's seat. One press of a button and you can lock the front and rear axles to optimise the car's traction in even the harshest conditions. If you're looking for more safety features you also have the ABS system with enhanced performance levels, ensuring you have complete control of the car, even when braking suddenly.